We love singing! 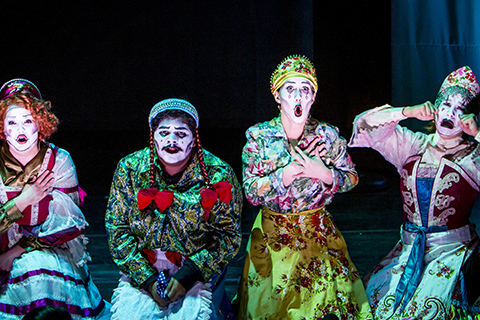 If you aspire to sing in the world’s concert halls, opera houses, and other exciting performance venues, Frost singers perform in opera, recital, concerts and choral performances. 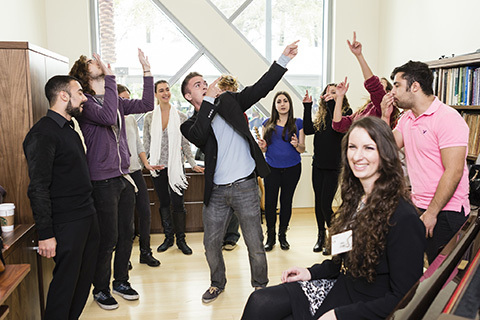 Our singers come to the department with unique skills and discover new perspectives and techniques to gain a competitive edge for the next step in their professional careers. The Department of Vocal Performance is solely focused on your development as a person, performer and singer. 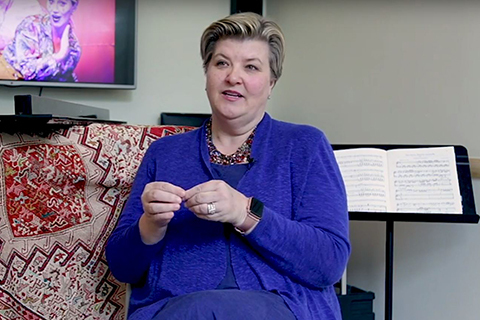 Dr. Esther Jane Hardenbergh is associate professor, department chair and program director of the Department of Vocal Performance at Frost. 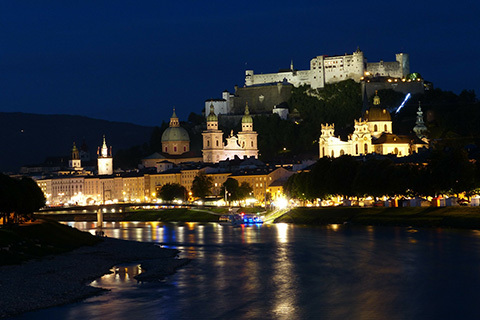 She has also served as the director of the school’s Salzburg program. In the video, shares some insight about the Program and all the wonderful opportunities Frost has to offer. The voice is, perhaps, the original instrument. Every culture in the world has valued singing as a beautiful and essential element of culture. 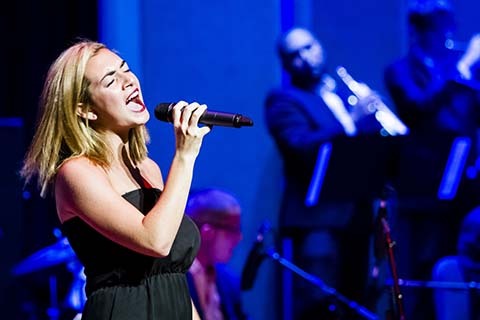 If you are interested in sculpting your voice abilities in order to pursue a career in music, a collegiate program in vocal performance may be the right path for you. 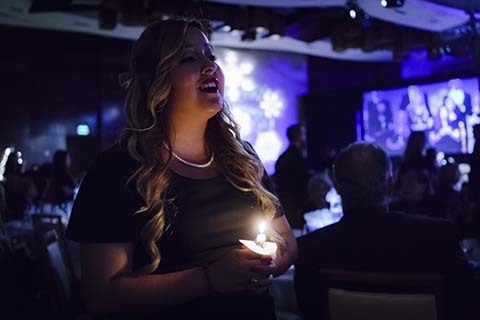 Under the tutelage of esteemed faculty, vocal students spend many hours working on their craft skills as they develop the professional skills to carry their careers to the next level. “If you can talk, you can sing.” So goes the old adage. Technically, everyone can sing, but vocal performers are practiced in the special skills that truly captivate audiences. Range, tone, stylization, and stage presence can all be cultivated over time. 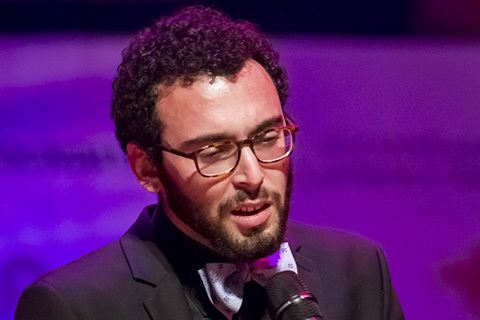 Vocal performers often know proper pronunciation in a variety of languages. They are familiar with the literature of music and the ways in which social context influences the way in which a song must be sung. There are many paths for vocal performers. Why Should I Go to School for Vocal Performance? There are some individuals who do have an innate gift for singing, but this alone is not enough. It’s a myth that some successful singers completely excel without any instruction. Everyone must learn. This is one of the major reasons to attend a music school for voice: to hone your abilities. Additionally, if you are in your teens or twenties, your voice may still be evolving. We’ve all heard horror stories about professional singers who’ve inadvertently hurt their voices because they use the wrong techniques. It’s important to accrue the requisite knowledge to not accidentally hurt your voice. Voice is a unique field in that a voice cannot be replaced as other instruments can. It’s in your interest to know how to preserve your voice for life. What Should I Have Accomplished Before Applying to a Vocal Program? It’s important that you have some singing experience before you apply to a vocal school. Whether you’ve sung in choruses at school or in the community, taken part in musicals, participated in singing as part of a faith community, or sung with a band or other musical group, schools will consider your devotion to the craft as they review your application. Vocal schools require auditions as well, so that the admissions committee can assess your potential first-hand. As an applicant, the audition will be an important part of the process for you as well. You’ll need to spend some time preparing the audition music so that you can be at the top of your game. An audition at the school may also be an opportunity to meet the faculty and other students you’ll potentially be working with for multiple years. These individuals may also become your friends for life. What Do Voice Majors Learn? How to sing in different languages. Because repertoire exists in many different languages, voice majors practice pronunciation and diction in a variety of languages. In your career as a professional singer, you may not always know what the words mean, but you will know how to sing them. How to sing in different genres. Versatility is essential for any musician. In the course of your degree, you will likely identify what you especially like to sing. However, it’s important that you try out a variety of genres. How to sing with various accompaniment. One of the great things about music school is that it’s full of musicians. Other students who want to practice their instruments as well may want to seek out a singer. In combination with the ensembles the school offers, you will practice singing with a wide range of accompaniment. The business of music. As a singer, you are an entrepreneur as well, and you need to know how to protect yourself legally as well as grow your business. A quality vocal program will prepare you with the business skills you need as you move forward in your career. What Does a Vocal Performance Program Entail? 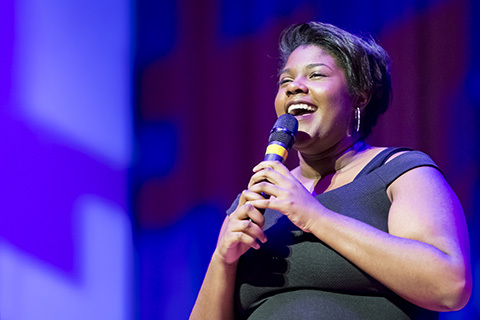 A vocal performance program provides a breadth of opportunities to learn all about vocal music. Eventually, you’ll be working closely with instructors toward a senior recital, but first, you must understand the basics. Private lessons and ensemble opportunities are plentiful at any quality school of music. 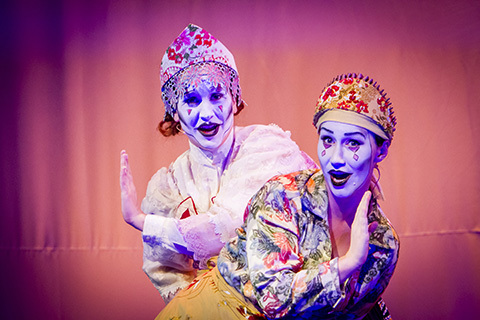 Some students also explore performance opportunities in music theater or even as a guest with various community groups. Music students also learn music theory, music technology, music history, and more. What Kinds of Careers Do Vocal Majors Pursue? 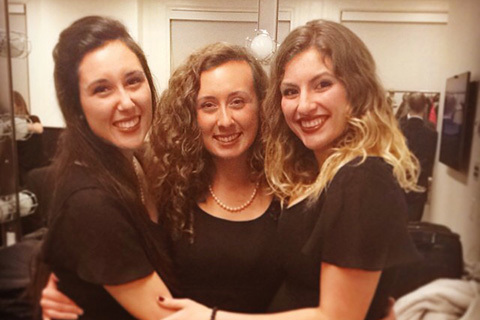 Many voice majors pursue careers as performers. 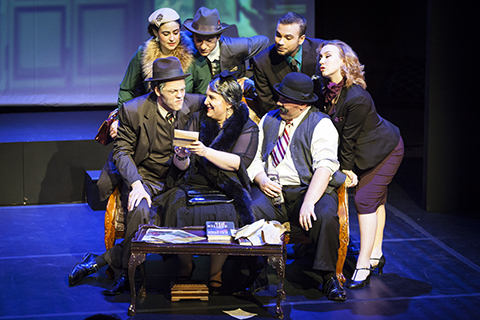 Opera and musical theater are two popular areas of focus. Other vocal majors work as instructors. Whether they go into scholastic music education, teach private lessons, or work towards teaching in higher ed, many vocal majors find teaching extremely gratifying. 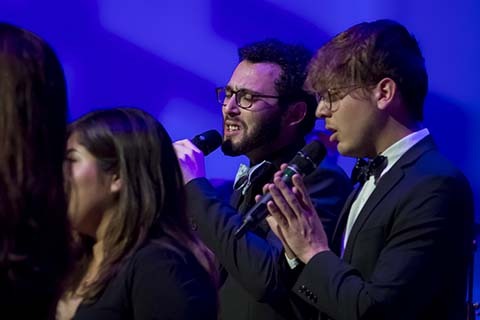 Music engineering, arts administration, and art therapy are other areas of focus some voice majors find themselves pursuing after graduation. What Should I Look for in a Vocal Program? One of the most important components of a vocal program is individual instruction. You will likely be working one-on-one with faculty in weekly lessons in which you will focus on specific vocal music areas. 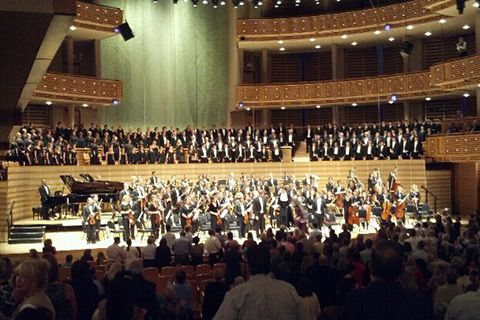 You’ll also participate in a number of ensembles and other performance opportunities. School is a time for you to round out your practice. With the variety of opportunities available, you’ll be sure to find plenty of areas toward which to grow in a vocal program. How Do I Find the Best Vocal Program for Me? 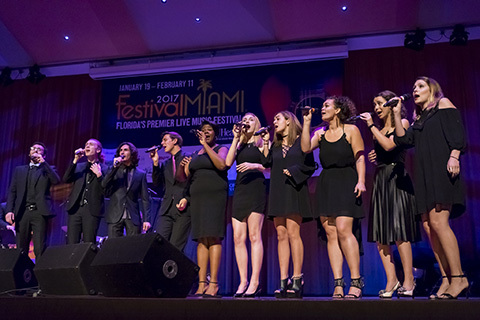 The Frost School of Music at the University of Miami makes use of The Frost Method™, which allows singers to practice their skills in small ensembles with esteemed faculty. Personalized student attention means that each student has the opportunity to shine. Your instructors will get to know you as an individual to help you take your vocal game to the next level.